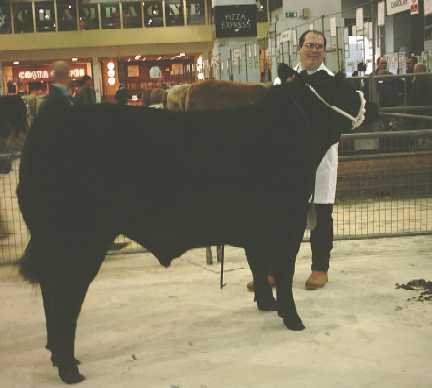 Cruz was a pure AA steer. 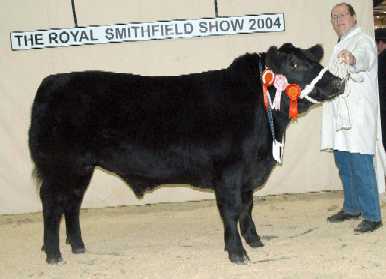 He was bred at Netherton and purchased from them as a young bull calf. Cruz had his first show for 2004 at The South Of England Autumn Show on 3rd October, where he won his class and was the best native sired beast. He was then 1st and Reserve Pure Steer Champion at the South Eastern Primestock Winter Fayre, and 1st in the heavyweight steer sired by Angus class at the Royal Smithfield Show in 2004 (see pic top right). 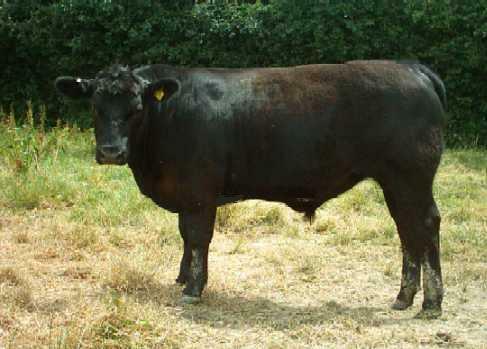 He also was Angus Champion, Reserve Champion for the Queens Cup (Best Native) and one of the team of three Angus Steers which won the Duke of Norfolk Trophy. He sold for £3/Kg (£1990) to Scottish Butcher John Anderson.